DNS Accountants have gained a reputation for the quality of its services. Having catered to over 1200 clients since its formation in 2005, we, at DNS, continue to excel in what we serve to our clients. Laying great importance to the satisfaction of clients, DNS does not cause any kind of disappointments or issues resulting in expenses and penalties for a company. On the contrary, it rather helps in saving taxes and hence, the money of the organisation by all necessary means in compliance with the regulations of the accounting standards and taxation. Moreover, the experience is what our team members and partners have largely benefitted from by facing new tasks and challenges every day for over a decade. Accounting, tax management and consultation being the simplest form of diversification of the services we provide, to elaborate, we specialise in various fields like limited company formation, tax investigation, accounting solutions and consultation. Laying a step slowly and steadily in different towns and cities, you can find accountants in Norwich, Harrow, Portsmouth, Slough, Reading and many other places in the UK. With the idea of further extending our services, our aim to provide best services in the fields of accounting and related subjects everywhere around the world will absolutely become a reality. Norwich is a city situated on either side of the bank of the River Wensum in East Anglia. Regarded as one of largest cities in the 11th century after London, Norwich had been a city of great importance to England for centuries. Having had a large base in the manufacturing industries sector, Norwich used to be a major source of earning of incomes by many of its residents. Until the 1980s and the 1990s, shoemaking was the major field in which the manufacturing industries of Norwich generally thrived. However, Norwich now is basically regarded as an area of service based economy. A company in the service sector which continues to lead is Aviva. However, various other financial and insurance companies have come into the picture. Apart from service and manufacturing, the other common business sectors found in Norwich are Retail, Tourism and Public Services. Furthermore, Mustard Manufacturing is also a common industry found under the manufacturing sector of Norwich. With so many different kinds of businesses flourishing in a single city, it becomes extremely important to maintain the books of accounts adhering to all the standards and rules and regulations of accounting. Thus, understanding the need of companies in Norwich, DNS has sown a major seed for better fruits for companies to have. Taxes form an important form of accounting and has its ownspecific elaborated version in the subject of accounting. Considering the various aspects related to taxation like tax planning, tax investigation, tax control and tax reduction by fair means, it can be started that a tax accountant plays a key role in any company. 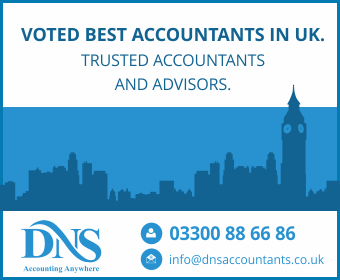 The most recommended accountants in Norwich by any company are generally the accountants who are the staff members or partners of DNS Accountants. As a service providing company, our staff members always maintains the expectations of the clients they are working with. With the help of Self-Assessment Tax Return service provided by DNS Accountants, a company is prone to derive various expected as well as unexpected advantages. If a small business or a sole proprietor or a company or any other business has an additional income source, then it is mandatory for the business to apply for self-assessment tax return. Thus, with our service, your time as well as energy to fill in the form shall be saved. Moreover, any kind of mistake in filling the self-assessment tax return will be reduced to nil by our experienced staff members. Hence, no penalties of any kind shall be imposed on your organisation, and there shall remain no botheration from the HMRC in any way possible. VAT Registration is the process of listing of a company as a business eligible for the return of VAT amount. It can only be done in the case of businesses. To claim the repayment of VAT, your output tax should be more than your input tax. In such a case, the difference is calculated and is refunded to the company. Thus, DNS provides with VAT Registration Cover service to ensure that a company rightfully receives what it is supposed to. On doing so, our members are simply helping a company promote and progress in terms of funds and profits. Saving the taxes of the clients in every possible legal way is what our organisation considers as an important aspect that shall not be neglected. Thus, our VAT Registration Cover service shall not leave you with any kind of disappointments throughout the period of when our services are being rendered to your company. Accounting jobs in Norwich have seen a rise in the previously few years because of the growing market in Norwich, especially in the service sector. Ensuring the best services from us out of the various other Norwich accountancy firms, we even make it a point to provide exemplary and highly skilful services consisting of efficiency in the knowledge basing on which the tasks for any of our clients had been completed. Understanding the requirement of accountants in Norwich, it should also be mentioned that such services are required in various other distant locations as well. Cringleford, Costessey, Spixworth, Poringland, Hethersett, Horsford, Slough and various other towns and cities in the UK rely on our services in every field related to accounting for the smoother running of the companies having their bases set in these towns and villages.